Mummy, Addi and Preston decided to go on a road trip to visit Gran and Granddad for the weekend. Daddy was busy with lots of work so we thought it would be nice to have some company after a very lonely week with Daddy being so busy. The kids just love going to Gran’s house and playing, if only it was a little warmer in Toowoomba! and closer for that matter. 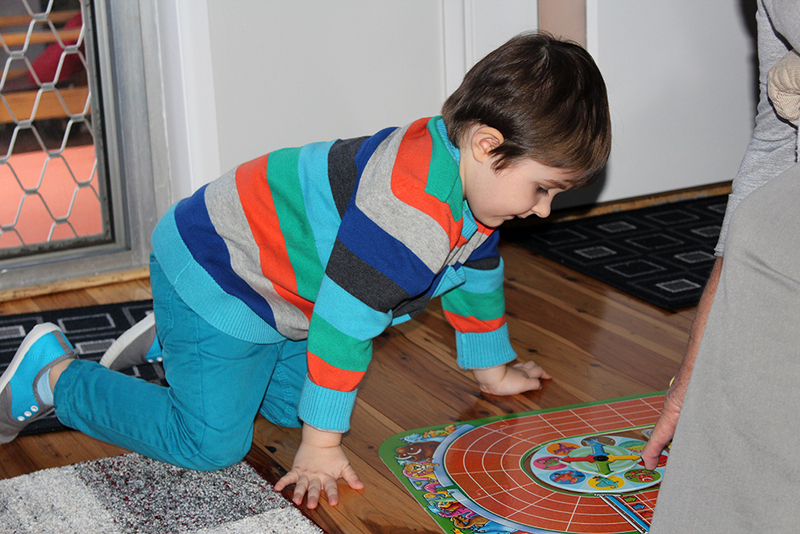 Addi loves playing games and doing puzzles, so he had lots of fun with Gran’s dinosaur board game. It was a great game with plenty of counting and matching. And he usually beats me!